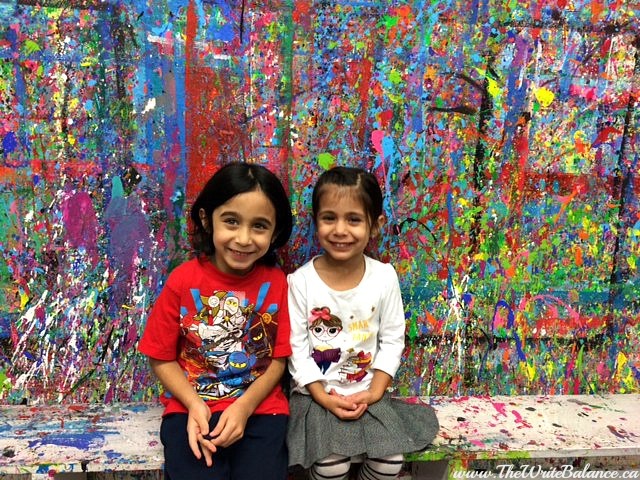 Earlier this month, I was really excited when Tairalyn of Little Miss Mama invited us to a family night of crafts at 4 Cats Art Studio in Port Coquitlam. I’d been to an event before, where i got to create a Van Gough inspired painting but there were no children. This time the kids were really excited and when we got there, they were not disappointed! 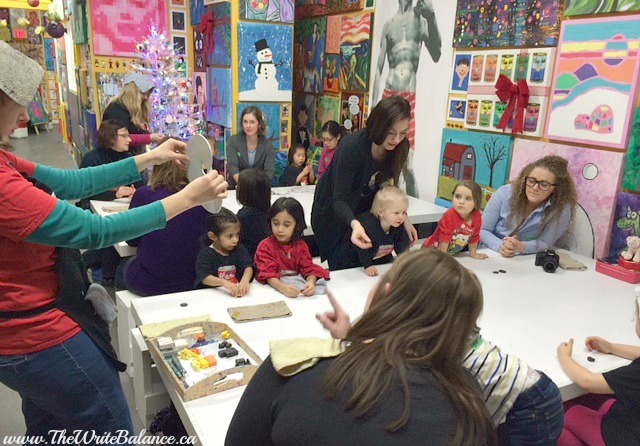 The fabulous owners, Lisa and Marie got everyone ready to create their own little clay penguin master pieces. They showed up everything step-by-step and both my three and five-year old had no problems following along. 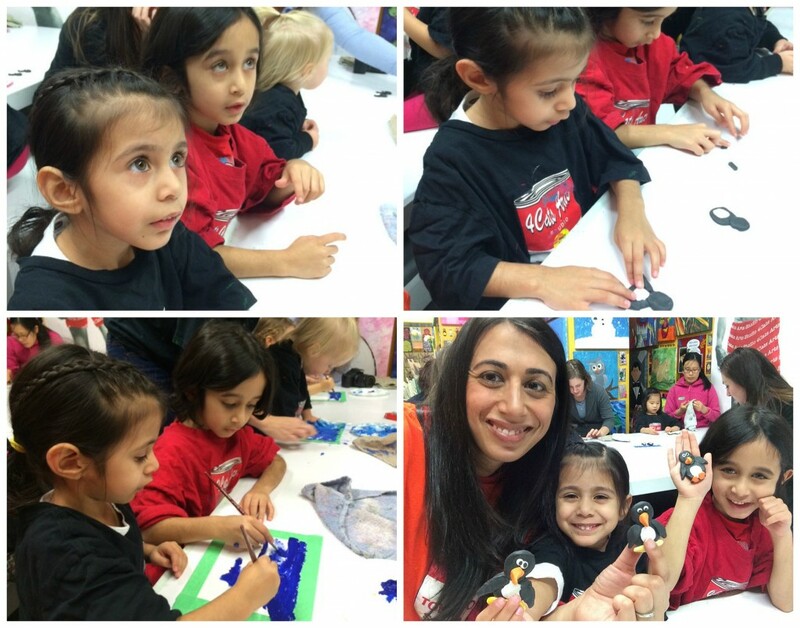 They built the penguins from clay, painted the backdrop and then while it cooked in the oven, the kids had fun in the splatter room. We picked up the finished craft a couple days later and we all loved it! We have to find the perfect place to display it. Now the kids keep asking me when we can go back and make more. I looked into 4Cats Art Studio a little more and they have a lot of great programs for both adults and kids. I am even thinking that this might be a great place to have a birthday party for the kids. We had a really fun night and can’t wait to go back again. It’s always a good thing when children want to participate in arts and crafts. I used to love to color with crayons as a child (okay, I still do!) and I think if I didnt have any encouragement from friends and adults, It wouldnt be nearly as great of an experience for me. I love arts & crafts. I love when children can be creative as well. Those penquins are so cute! 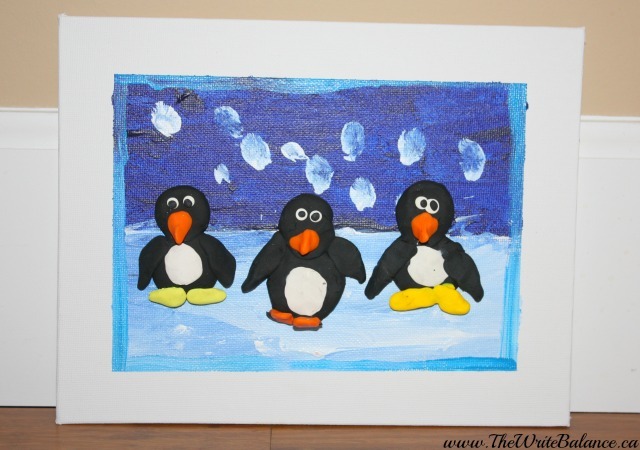 Such cute little penguins to make! The kids looked like they really enjoyed themselves too! A birthday party at the craft shop sounds like so much fun! Have you asked about having one there yet? Very cool! Love this post as well the concept of 4cats studio! It is a really fabulous place!